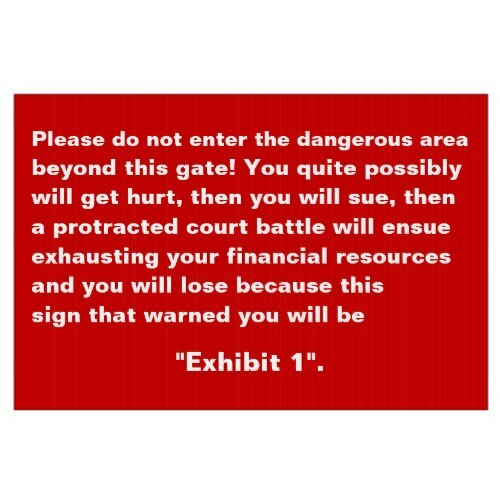 "Please do not enter the dangerous area beyond this gate..
..You quite possibly will get hurt, then you will sue, then a protracted court battle will ensue exhausting your financial resources and you will lose because this sign that warned you will be 'Exhibit 1'." A funny but effective yard sign putting across straight, in plain English, all the repercussions of entering a property uninvited. A funny, customizable yard sign for your front gate, entrance to your property - factory - farm house - farm land - business premises - private area, yard, or lawn. You may change the text of this yard sign to suit your needs & functionality! 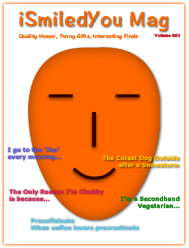 Makes a fun, useful gift to friends & family on birthday, holidays, or any regular day.